While professional photographers use very high-end cameras and expensive equipment to help them achieve a soft appearance in their photos, there are several ways you can achieve the same effect even if you are using a standard point-and-shoot digital camera. Achieving this is easier than you think. The photographer's main enemy when trying to take shots with a soft appearance is too much light. Try the following ideas to control the light in your shots. Even the least expensive digital cameras allow the photographer to adjust the brightness of the flash. This is useful to achieve a soft appearance in your shots. A flash that is less intense will keep your shots from appearing too harsh. One trick is to use a soft flash on outdoor portrait photos. The subtle artificial light will blend with the natural light and create a smooth, soft look. Light diffusers come in many forms, from umbrellas, to diffuser panels, to pieces of fabric and flash covers. However, the basic premise is the same for all of them: to put something between the light source and the subject to filter the light. These tools are most useful when dealing with artificial light, although you can use them to diffuse sunlight as well. Different materials and different colors will impact the way the light reacts as it passes through the diffuser, so you will need to experiment and be patient to get the best results. If you're taking outdoor shots, let Mother Nature soften your shots for you. Dawn and dusk are magical times for taking soft, warm photos. Try setting your alarm and getting an early start if you want to take photos with soft appearance. Then, head out again just before dark and try again. The other factor that helps create soft shots is focus. While you don't want pictures that are blurry, a slightly soft focus can really help create a warm feeling in a picture. The oldest trick in the book for creating soft looking photos is to lengthen the exposure time of your shots. The extra time the shutter is open leads to a natural softening of the shot's focus. However, be careful not to leave it open too long as this can lead to shots that are blurry, and not just soft. Experimenting with your depth of field is important when trying to give your shots a soft feel. One trick is to set your aperture for a narrow depth of field, then focus in on what you really want your viewers to see. The rest of the frame will be slightly out of focus, which is a great effect when you want to create soft shots. Which Photos Look Good With a Soft Appearance? Depending on your subject, there are times when you'll want a soft, warm feel to your photos and times when you don't. If you're not sure what situations are best for taking pictures with a soft tone, consider these guidelines. Without a doubt, soft looking photos are most commonly used when taking portrait photos of people. People's faces typically do not look appealing when they are crisply focused and taken in harsh light. This creates unpleasant shadows and exposes flaws and imperfections on your subject. 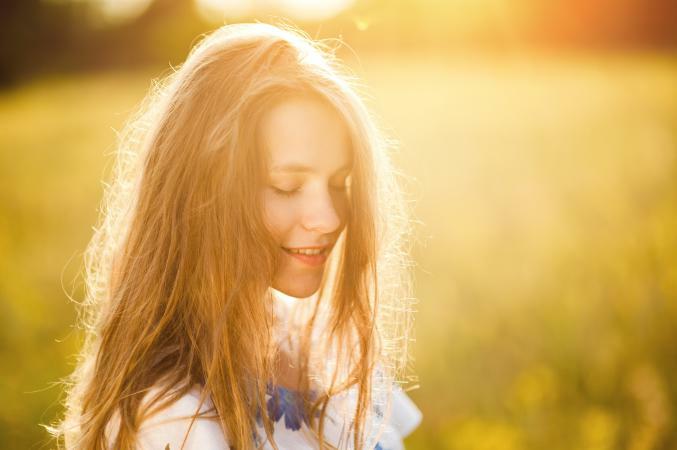 Using soft, warm light and a slightly soft focus gives portrait photos a calm, serene, and almost angelic quality. The most important thing to remember when taking shots with soft appearances is that you should never stop experimenting. If you don't find success the first time out, keep trying new things until you discover a trick that works for you.